Harry Connick Jr. is one of those highly accomplished individuals that you cannot help but doff your hat for. He is an award-winning musician, actor, and composer who has released multiple successful albums as well as featured in several popular movies. He has also extended his acting talents to the stage as well as the small screen. There is seemingly nothing that this man cannot do. Find out more about the living legend here, including details about his wife, daughters, family, and earnings. Joseph Harry Fowler Connick Jr. was born on the 11th of September 1967 in the city of New Orleans. His father, Joseph Harry Fowler, was a district attorney in New Orleans while his mom, Anita Frances, was a judge who later rose to become a Supreme Court Justice in their home state of Louisiana. He has a sister named Suzanna. Even though Connick’s parents were both lawyers, they were huge music enthusiasts. They owned a music store and encouraged their son’s pursuit of music as his natural musical talent manifested at an early age. He began playing the piano when he was just three and started performing in public two years later. Before the age of ten, Connick had become a member of a local jazz band. For his education, Harry Connick Jr. attended various schools, including the famed New Orleans Centre for Creative Arts. His quest for musical perfection also took him to the big apple where he attended Hunter College as well as the Manhattan School of Music. While in New York, Connick landed a record deal at Colombia Records. He released his very first album titled “Harry Connick Jr.” in 1987, aged 19. His second album, 20, hit the shelves in 1988. Connick shot to fame a year later in 1989, thanks to the evergreen movie, When Harry Met Sally. Connick did not feature in the movie but rather composed most of the songs in the movie’s popular soundtrack which went platinum (twice). It also received the 1989 Grammy for best jazz vocal performance. Since the successful soundtrack album, Connick has released more than 10 albums including two Grammy-winning efforts, “We Are in Love” (1990) and “Songs I Heard” (2001). Harry Connick Jr. diversified into acting in the 90s, with his first movie being the 1990 WW11 movie Memphis Belle. Since then, he has also appeared in movies such as Independence Day, Hope Floats, New in Town and P.S. I Love You. The New Orleans native has also appeared in TV series such as Will and Grace. He has also featured in several stage productions including, The Pajama Game, in 2006. 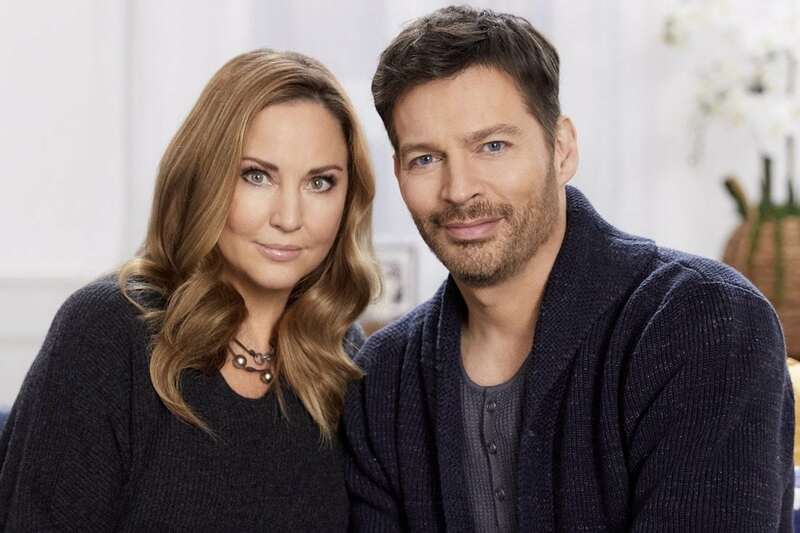 The musician is married to Jill Goodacre Connick. Jill is an actress and model who formerly worked for brands such as Victoria’s Secret. The pair got married in 1994 at St Louis Cathedral in New Orleans. Together, they have three children; Georgia Tatum born in April 1996, Sarah Kate born in June 1997, and Charlotte born in June 2002. In 2017, the couple revealed that Jill had been diagnosed with breast cancer back in 2012. She had to undergo radiation surgery as well as other forms of treatment in order to overcome the disease. Harry Connick Jr. has accumulated a fortune worth $45 million from his illustrious career. The New Orleans native is renowned for his philanthropic activities. He was quite active in the rebuilding of New Orleans following the devastation of Hurricane Katrina. He took part in concerts organized to raise money for the victims and also collaborated with Habitat for Humanity in its program to help New Orleans residents rebuild their homes. Additionally, he spearheaded the construction of the musician’s village, to give accommodation for singers who lost their homes during the floods. All these commendable efforts earned Connick the Jefferson Award for public service. A cursory glance at Connick will reveal that he has a tall slim build. This assumption is confirmed by his body measurements of height 6 feet 1 inch (1.85m) and weight 78kg (171.9lbs). Other additional measurements are chest size – 39 inches (99cm), arm/bicep size – 13.5 inches (34cm) and waist size – 33 inches (83.8cm). The crooner also boasts of brown hair and startling blue eyes.